REC SOLAR PANELS ARE NOW MADE IN SINGAPORE! 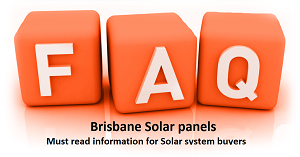 Too many people have rung me up lately and are requesting a price and quote on a solar system using these panels. For this reason I have decided to write a REC solar panels Review. Rec solar panels are recognised to be one of the best solar panels in the world… since Forever. They were all the rage 8 years ago, and still on top of the market today with their new REC Twin Peak Solar panles. There is not many better panel options out there in terms of price and performance. We want all our customers to be the happiest solar customers in the world, and we believe we can achieve this by offering REC solar panels at the cheapest prices in Brisbane and the Gold Coast. The fact that they were one of the better panels on the market back in 2008 means that they were around in the earlier stages of the solar market. They were a Pioneer solar panel and many REC Solar panels review seen them rated highly, and rightfully so. Why would you not consider a solar panel like REC who have had the runs on the board for such a long time? Click here to read about the new plant where the Twin Peak panels are made in Singapore! The fact that the REC Solar wafer division filed for bankruptcy in 2012 , but had been resurrected in 2013 as the company was formed into Renewable Energy Corporation ASA (REC Silicon) with no debt and began offering premium solar panels, built to a high quality and now boast a positive cash flow! With The introduction of REC Twin Peak panels in Australia we have seen great success in REC solar panels sales in recent years and even more happier customers.